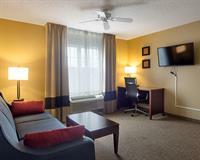 Conveniently located off Interstate 43 in the heart of Ozaukee County, the Comfort Inn & suites hotel in Grafton, WI offers easy access to world-class golf courses, parks and attractions like the Port Washington Historical District and Cedar Creek Settlement. 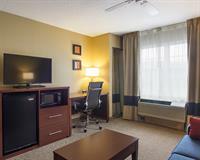 This non-smoking Grafton hotel is also close to Milwaukee attractions like the Milwaukee County Zoo and Miller Park stadium, as well as Lake Michigan. 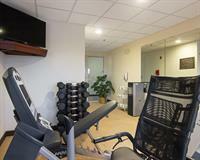 The General Mitchell Airport is a short drive away. Relax in the indoor heated pool and whirlpool, get fit in the fitness center and utilize our guest laundry facilities and meeting room. Your morning breakfast includes hot and delicious options, making breakfast at the Comfort Inn & Suites the perfect way to start your day. Enjoy free hot breakfast featuring eggs, meat, yogurt, fresh fruit, cereal and more, including your choice of hot waffle flavors! 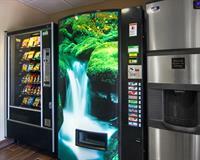 All guest rooms offer microwave and refrigerator. Some rooms feature a desk and sofa sleeper. 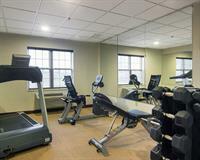 Create your perfect stay at the Comfort Inn & Suites hotel in Grafton, Wisconsin. Book a room today, we hope you enjoy your stay. 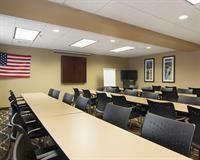 The Comfort Inn & Suites® hotel in Grafton, WI is located off Interstate 43.